Administration, project management, customer service, and HR within the Operations team. As Administrative Assistant, Sasha’s days consist of a little of everything. With a background in project management and a propensity for managing a variety of projects and responsibilities, she handles everything from Human Resources to internal training, and manages all aspects of the Contractor side of our business. Sasha's first interaction with IQ PARTNERS was in 2012 as a candidate, and was placed with a client in a contract position. Four years later Sasha jumped at the chance to come back and become a permanent member of the IQ PARTNERS team. 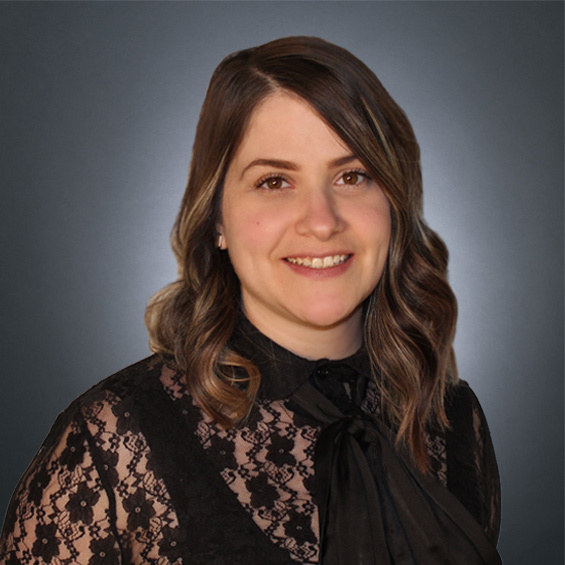 A creative and hardworking individual with a passion for Administration and Human Resources, she is a two-time Sheridan graduate with an Ontario College Diploma in Office Administration – Executive, and Ontario College Certificate in Human Resources Management. With more than seven years of administrative experience, Sasha takes deep pride in her work and loves that working in an administrative role allows her to stay on her toes, constantly learning and evolving as she takes on various projects. Reality TV shows, sushi, and worrying/thinking a bit too much.